Our house gets a little crazy around football season. My 3 guys are glued to the flat screen, transfixed by a spectacle of men in helmets and shoulder pads, chasing a pigskin ball and crushing one another at dangerous speeds. Yes, they are football fans. From the draft to the Super Bowl, they eat, sleep, breathe, and fantasize about football. While all 3 of them share this passion, there’s a difference that becomes noticeably obvious on game day . Hubby and our oldest bleed purple and root for the home team, but our younger boy, Noah? That’s because Noah is an Eagles fan. He’s the odd man out. A rival to his very own family. He endures the put downs, crack ons, and the criticisms of his favorite team. Not to be deterred, he wears his jersey with pride, making it clear who’s team he’s own, no matter what. I have to admire Noah’s bravery; the determination to be himself and identify with his team, even if it means standing against people he loves and respects. His loyalty and devotion almost makes me want to join his team and root along side him. “Let me tell you why you are here. You’re here to be salt-seasoning that brings out the God-flavors of this earth. If you lose your saltiness, how will people taste godliness? You’ve lost your usefulness and will end up in the garbage. “Here’s another way to put it: You’re here to be light, bringing out the God-colors in the world. God is not a secret to be kept. We’re going public with this, as public as a city on a hill. If I make you light-bearers, you don’t think I’m going to hide you under a bucket, do you? I’m putting you on a light stand. Now that I’ve put you there on a hilltop, on a light stand—shine! Keep open house; be generous with your lives. By opening up to others, you’ll prompt people to open up with God, this generous Father in heaven. If we take the words of Jesus as serious as my boys do their football, then this directive is plain and clear. Believers are to be obvious; as obvious as an Eagles fan is in a Ravens household. We are the light of the world. The light thats in us is Jesus. He didn’t play games or make us to fit in. 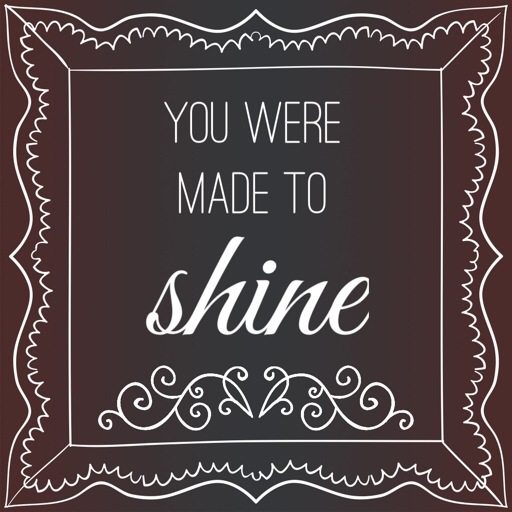 We were made to shine, stand up, and stand out as we point people to the real source of light and life: Jesus. May the light of Your love burn bright within me today, that others would see and know You.